Republicans fear voting for a fix would outrage their base supporters. (Bloomberg Politics) — President Barack Obama had barely finished proposing an idea to deal with a potentially far-reaching Supreme Court decision on the Patient Protection and Affordable Care Act (PPACA) before Republicans fired back with a categorical response: Not gonna happen. At the G7 conference in Germany on Monday, the president said if the justices strip subsidies from millions of Americans, “Congress could fix this whole thing with a one-sentence provision” making clear that HealthCare.gov subsidies are available in all 50 states. Republicans quickly fired off a rebuttal. 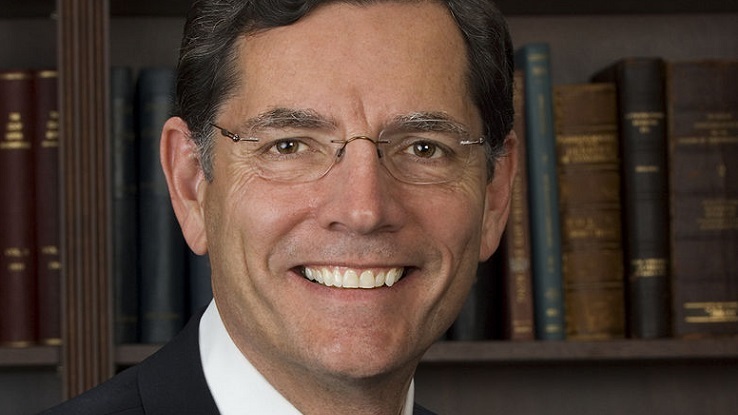 “Let’s be clear: if the Supreme Court rules against the administration, Congress will not pass a so called ‘one-sentence’ fake fix,” Wyoming Sen. John Barrasso, a medical doctor who is leading Republican efforts to craft a contingency plan, said in a statement. At issue is whether a handful of words in PPACA mean the government cannot provide insurance tax credits for millions of Americans in 34 states enrolled through HealthCare.gov, rather than a state exchange. Without the subsidies, insurance will become unaffordable to many and premiums are almost certain to skyrocket across the board. Even so, Barrasso and his fellow Republicans say Obama acted illegally by doling out the subsidies. A victory in the case King vs. Burwell would probably create chaos, and ironically put Republicans on the hook for resolving it. Obama said he’s “optimistic that the Supreme Court will play it straight when it comes to the interpretation” of PPACA and uphold the subsidies. From there, he made his strongest remarks to date on the case, warning the court that “well-established precedent” set in part by conservative justices support the subsidies. He called it an “easy case” that “probably shouldn’t even have been taken up,” accusing his opponents of offering up a “contorted reading” and “twisted interpretation” of the law. “I’m not gonna go into a long speculation anticipating disaster,” he said. In his statement, Barrasso accused Obama of “bullying the Supreme Court” and said the Republican-led Congress is “prepared to help” Americans who may be harmed. But is it? Republicans have struggled to coalesce around a contingency plan if the ruling goes their way. A victory could backfire on the GOP without a viable response, as Democrats would be armed with attack ads accusing them of pushing for a ruling that threw millions of Americans off their health care plans without a plan to help them. Even a simple fix is dangerous for Republicans. Conservative lawmakers in the House worry that a such a move to clarify that the subsidies are available in all 50 states would be attacked by their base as a vote for PPACA. There’s no easy solution. Ironically, the best political outcome for Republicans might be to see PPACA subsidies upheld, allowing them to continue attacking the still-unpopular law without having to choose between their base and millions of voters—not to mention an insurance industry in turmoil—who would be clamoring for a fix. A ruling is expected this month.